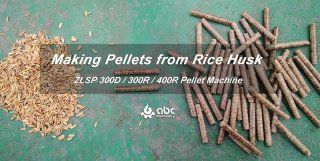 Production Output: Make 1.5-2 ton wood pellets per hour. 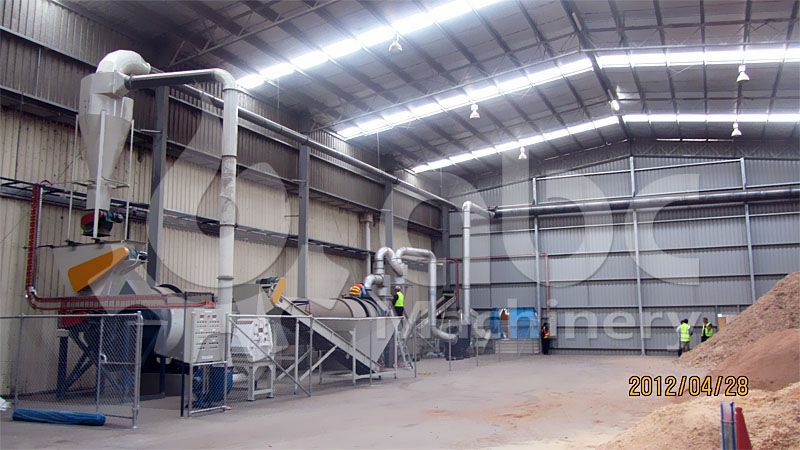 Our first wood pellet plant in Australia since 2012, and this project is Located in Geelong, Vic., Australia. 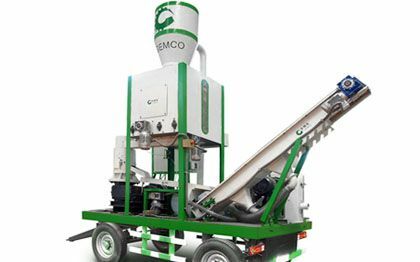 The capacity of this pellet plant is from 1.5 to 2 tons per hour. 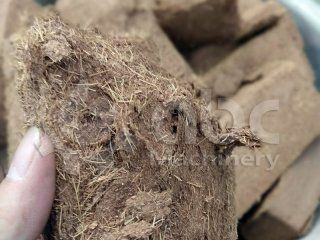 It is taking the mixture of softwood and hardwood sawdust as feedstock. 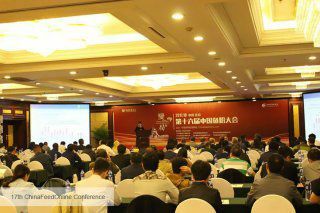 The proportion of softwood against hardwood goes 9:1, with the moisture content of feedstock 12% or so. 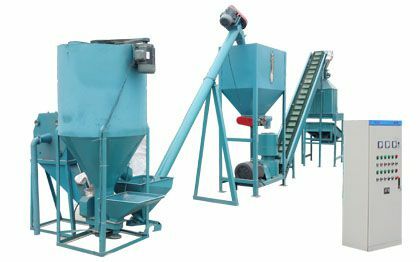 This plant mainly covers pulverizing, drying, mixing, pelleting, cooling and packaging which it is including jumbo bag and small bag. 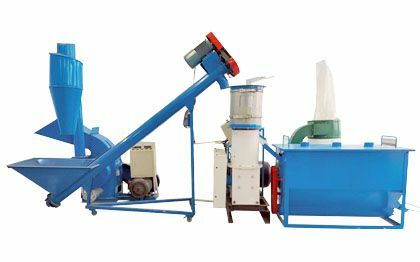 The smaller bagger used for 15KG per bag and the bulk bagger for 1 ton can meet the demands for different weighs of pellets in the market. 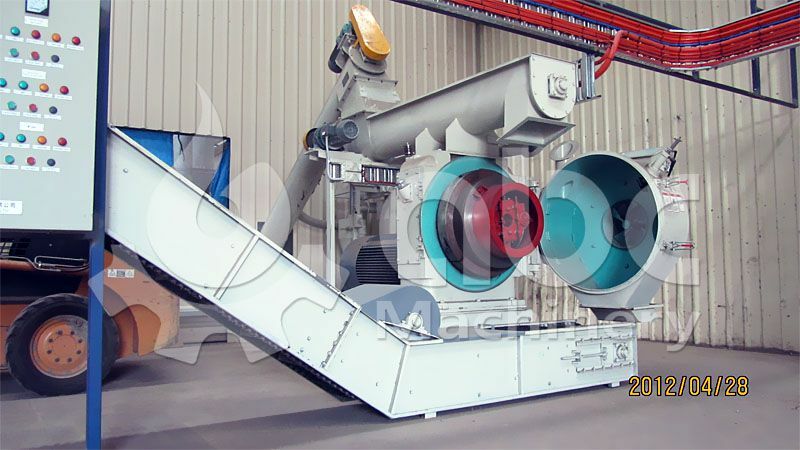 The line also remarkably features thorough feedstock mixing which will facilitate and stabilize pelletization constantly. Comparing with equipment by Germany and the US, the water content spectrum of raw material is flexibly kept higher, around 13% to 15%. 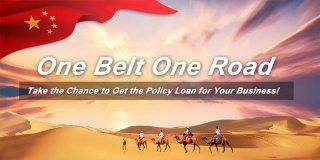 So, the investment and cost will be lowered favorably at the section of drying. 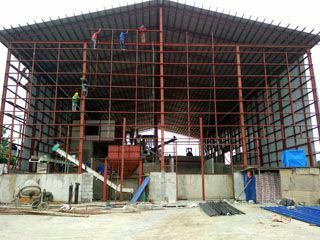 Some photos of the project are listed below for your reference. 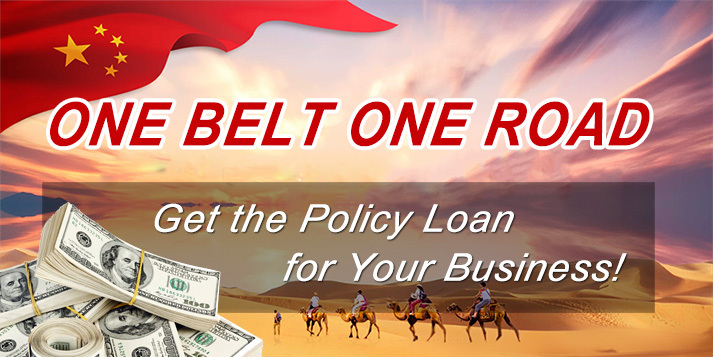 If you want to know detailed equipment list and price, feel free to contact us! 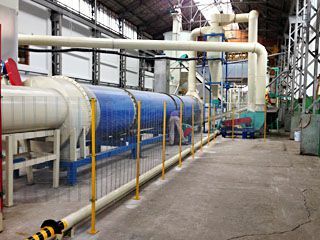 Dust collector which collect the dust without any leaking. 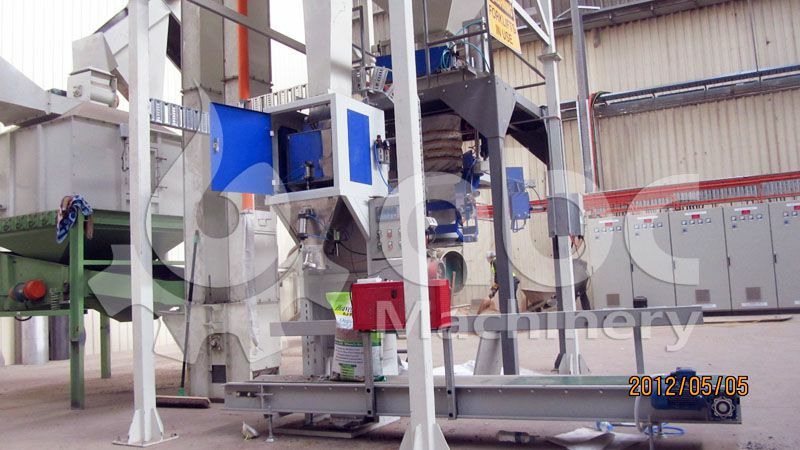 Lubrication system of the pellet machine, improved from manual to automatically. Electrical protection and emergency stop. 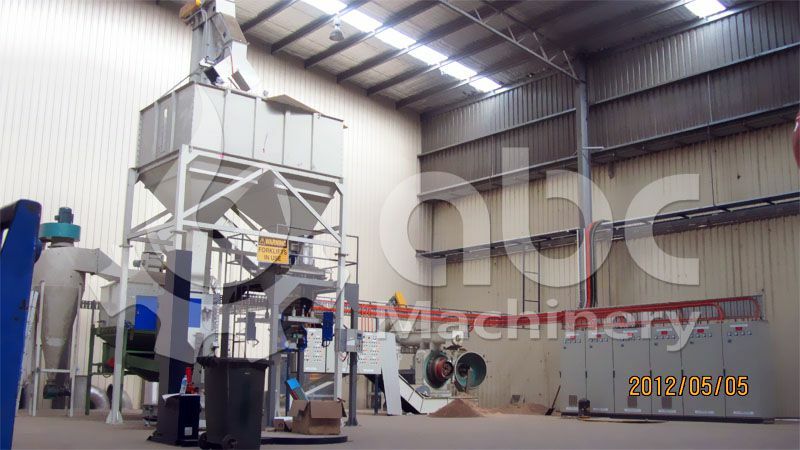 For this line, another light spot is we leave two pellet machines for future expanding which it is asked by customer which they want to expand in 2 years. Another aspect of production is to only add glue if and when it is required, that too in only the exact amount it is needed. 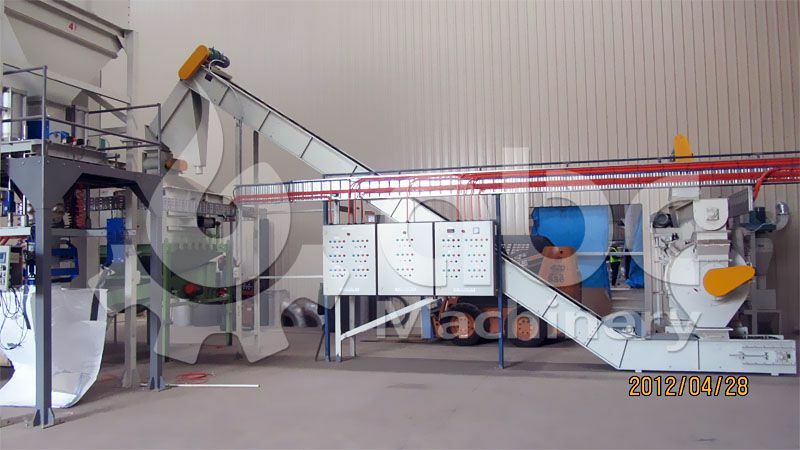 When the Sawdust undergoes the pellet making process, the high temperatures and pressure within the machine will result in the production of cellulose in the raw material. This helps the material bind together itself and adding extra glue will only gum up the boilers in the process with no added benefits. 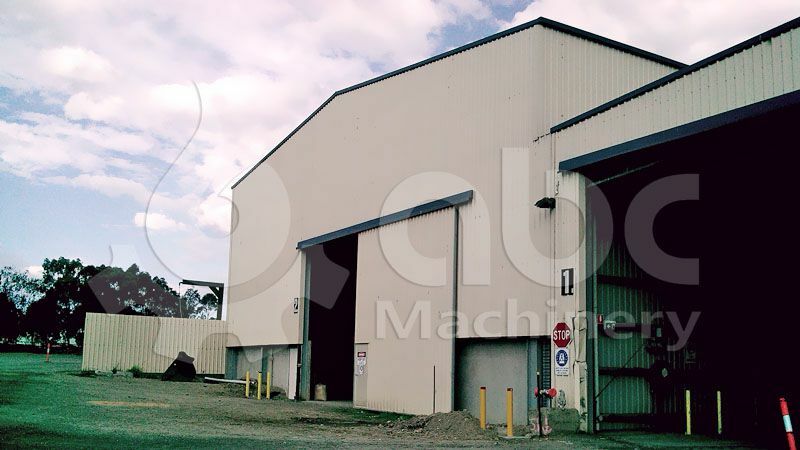 To get the best yield you may need to add multiple types of sawdust material to the mix, and there is no harm in that. You can mix sawdust from poplar, annatto, home furniture leftover recyclables along with peanut shells and crops straws as long as they fit the moisture requirement. This will actually yield a great product. 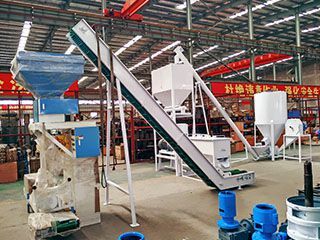 If the raw material has mildewed or has a white fungal layer on top, has a black coating, it usually means the material is compromised to some extent. 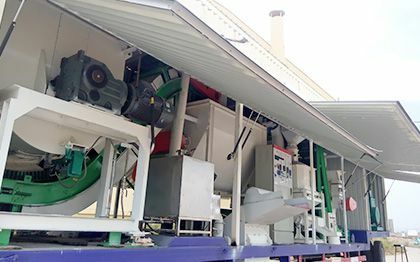 In such cases, it is advice that more than 50 percent of the mixture contains fresh sawdust to help even the odds and get a good quality final product from the wood pellet equipment. 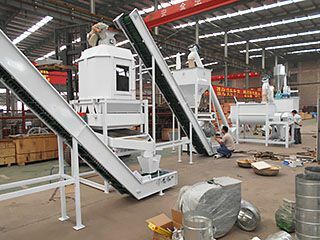 Dust collector which how to collecting the dust without any leaking. 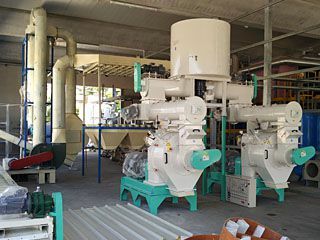 Lubrication system for pellet press, from manual to automatically.